Of course you do, what woman doesn't. My goddaughter will be christened in a couple of weeks time and that of course deserves a present and what better to make than a quilt. 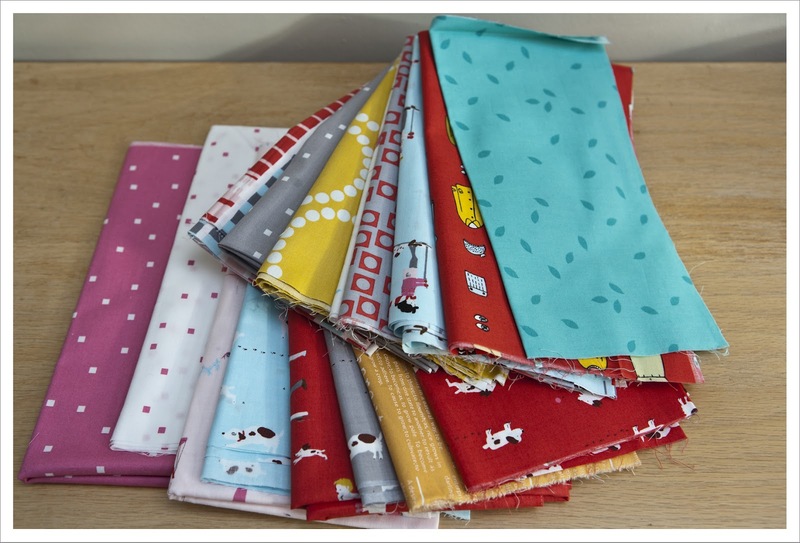 I discussed the fabric for the quilt with my friend Leigh already months ago. 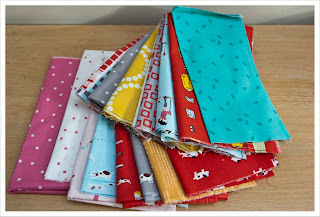 She really likes 'Sherbet Pips' so I grabbed my Pips stash but soon thought that I wanted a few other highlights in there so I started adding other fabrics from existing stash. Having wanted to make a diamond quilt for a long time I started cutting strips and then 60 degree diamonds and a few hours later I had the first layout. This is a crib sized quilt so I hopefully will manage to finish it over the course of next weekend. Oooh, I bet that's going to be gorgeous! I can't wait to see the final result. I love that you added some prints that weren't part of the Pips line. would it have been possible to sew the strips together first and then cut 60° strips? ?? 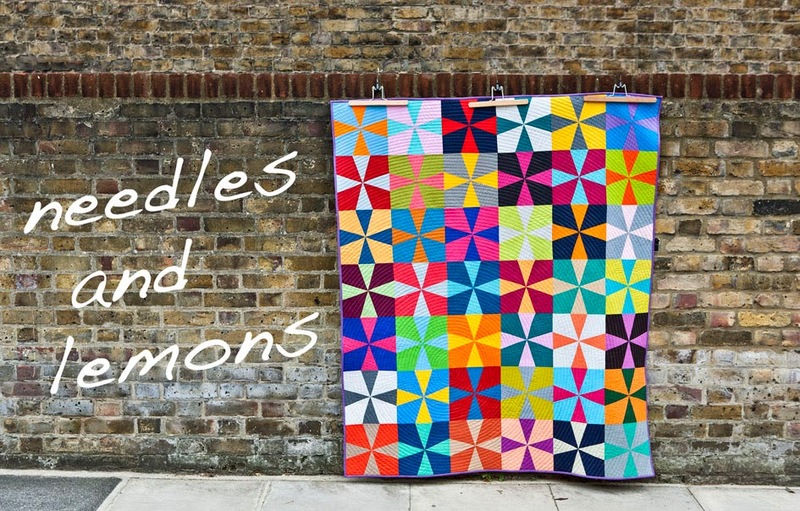 I'd love to do a diamond quilt but the thought of all that piecing makes me shudder!! That is indeed a good question. I will have a think about this but I have a feeling it might be possible. I'll get back to you on my next post about the quilt. 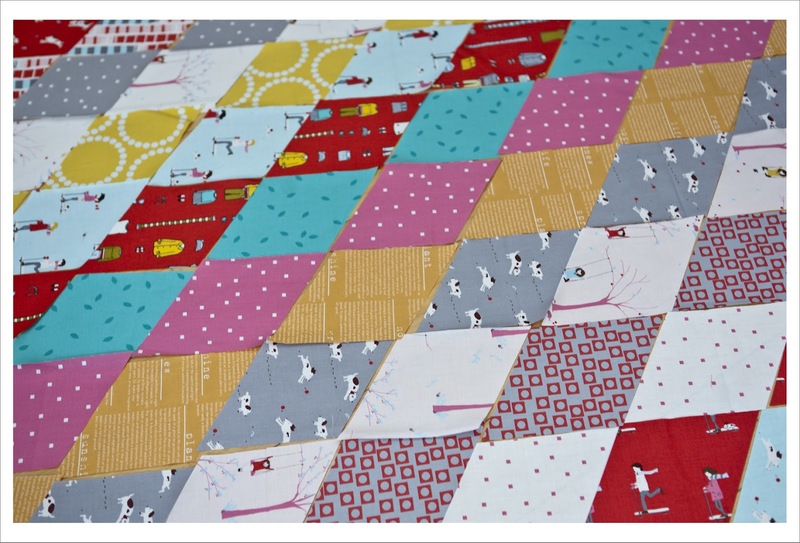 Looks wonderful so far - love the fabric you've chosen!